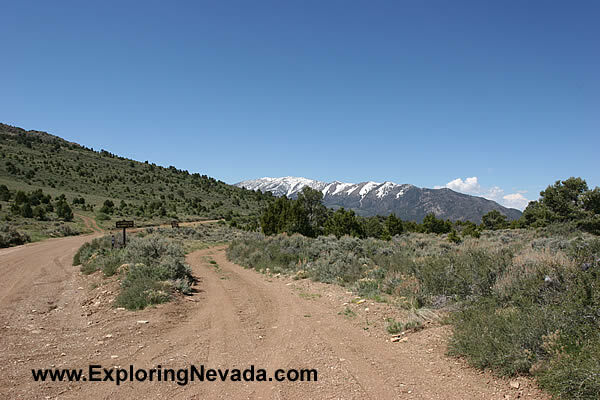 Despite the remote nature of the Hamilton Ghost Town Scenic Drive, it's actually difficult to get lost since there are so few roads that lead off it. However, there is one confusing junction and this is it. This junction is located about five miles up the drive. The road to the right (which loses elevation) leads to the ghost town of Belmont. The road to the left leads to Hamilton. So memorize this photo if you plan on driving the Hamilton Ghost Town Scenic Drive!